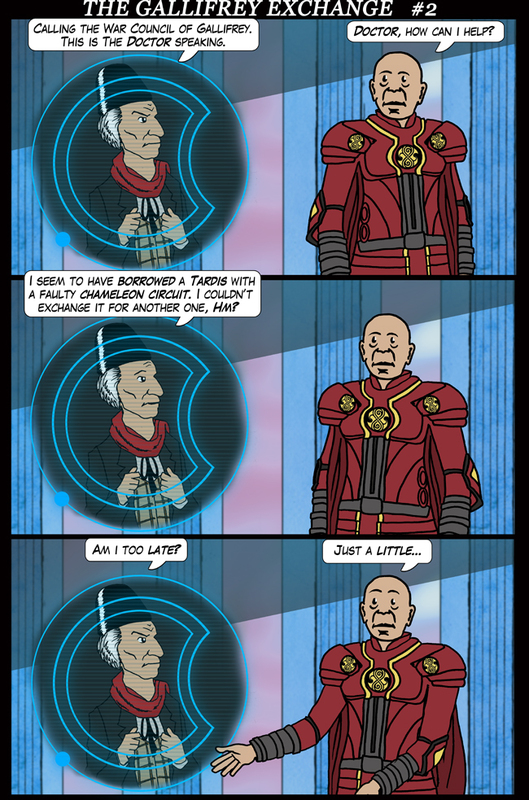 The Gallifrey Exchange is brought to you entirely by Jim as I attempt to get more strips to him. Life is drifting towards the new definition of normal, but not quite there yet. And in other news Capaldi seems to be leaving. A shame, but not a huge surprise. I've quite enjoyed his performance, but I'm not utterly convinced that he's had the best of circumstances to perform in.